This year the Christmas Bird Count takes place on Sunday December 30 on Gabriola. And, for the first time, it’s FREE to participate! 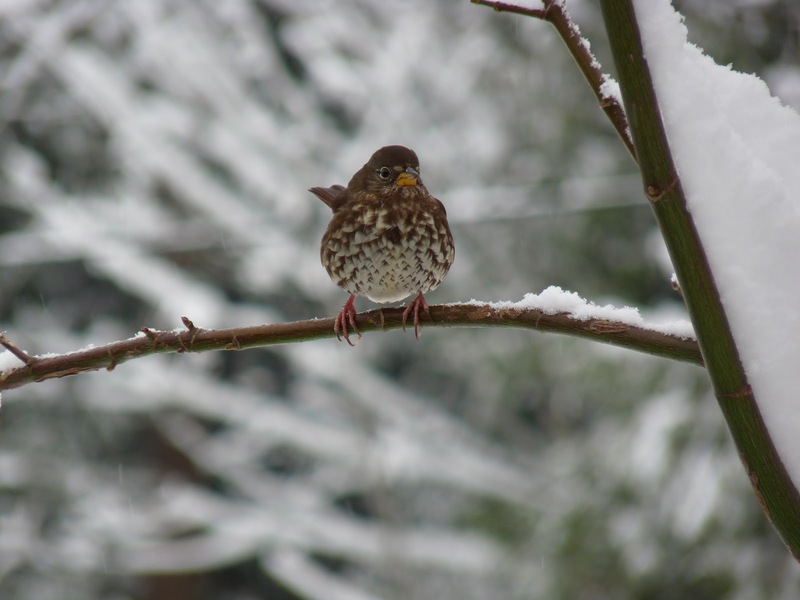 The Christmas Bird Count began in 1900 when Frank Chapman of the fledgling Audobon Society suggested a new tradition – rather than hunting birds over the Christmas season, why not do a census of them? Such a good idea! Today more than 2000 communities across North and South America participate in this annual tradition, the longest running Citizen Science survey in the world. Fox sparrow - add him to your list! consider the benefits for the birds. Researchers and conservation biologists use the collected data to study the long-term health and status of bird populations across the continent. In combination with other Citizen Science surveys such as the Breeding Bird Survey and The Beached Bird Survey, the data provides an up-to-date picture of the continent's bird populations, and the results help guide conservation practices and policies. If you’d like to join us, please call Phyllis Fafard, the local organizer of the count, at 250-247-9956.